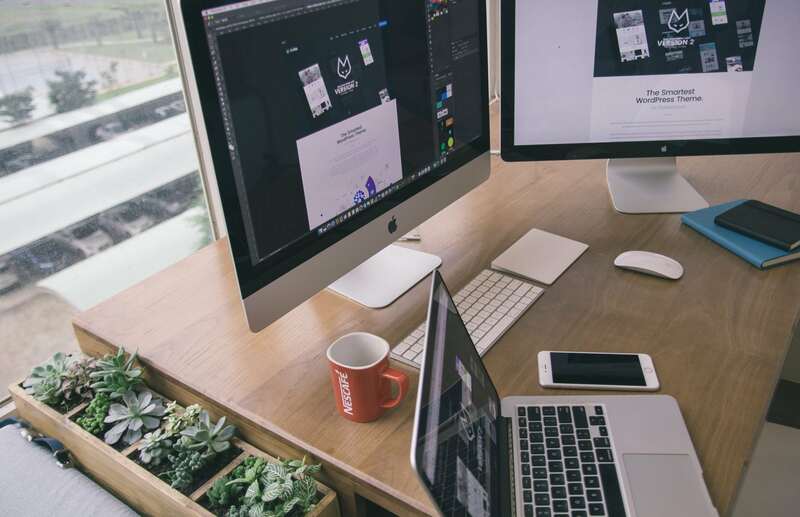 Are you ready to jump into the world of web design with Ghost? This simple and powerful platform is designed for bloggers (and other websites) that are looking to create using a simple platform and structure. The framework could be roughly compared to something such as WordPress, because of the number of options and amount of flexibility available with this system. And Ghost is gaining popularity. Publishers such as Square, Envato, NASA and Bitcoin are using it to power their websites. 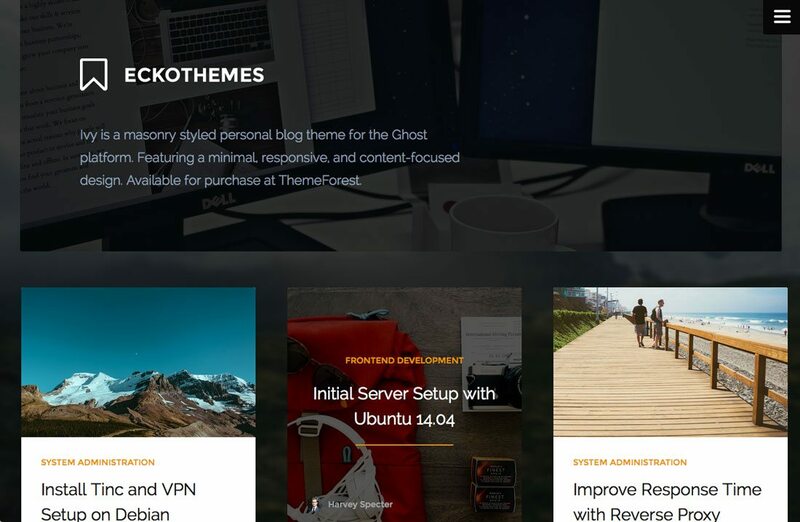 Today, we’ll round up 30 great themes (including free and paid options) for Ghost so you can get started in no time. 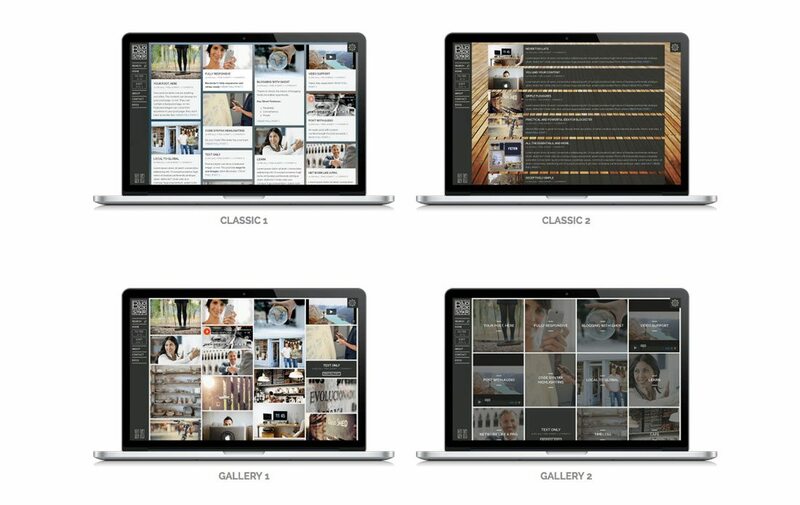 And these are more than just themes that work great; we focused on themes that are beautifully designed. 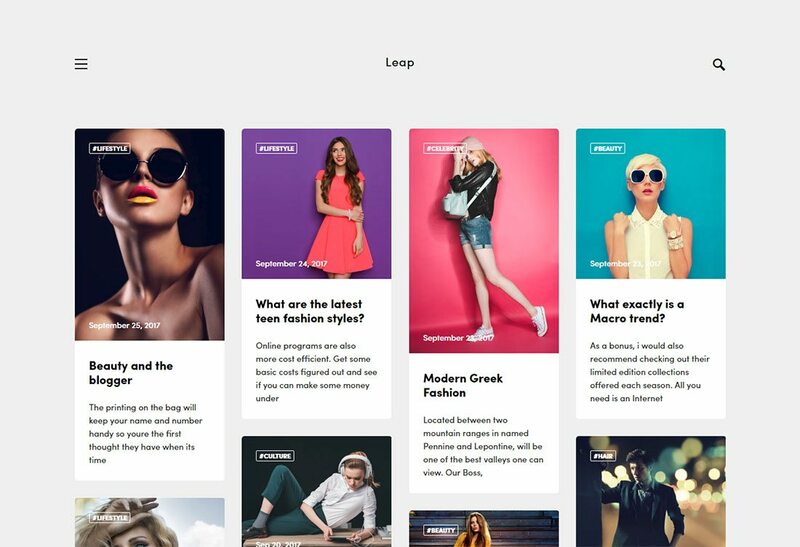 Leap is a fashion Ghost theme with a clean and beautiful masonry grid style layout. It features responsive design, infinite scrolling, autocomplete search, Disqus comments, social sharing, related posts and many more. Suited for those who want to highlight the pictures and have a lot of articles to share, well documented and with dedicated support. Leap is just one of the few premium Ghost themes that Haunted Themes offers in their package deal. 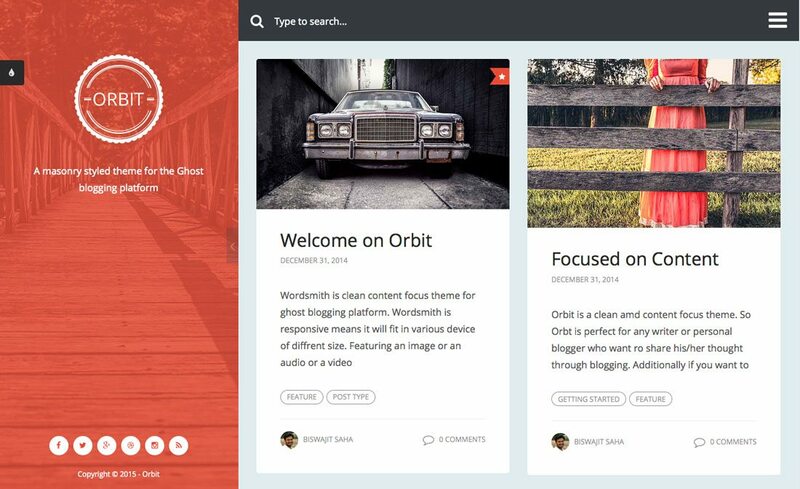 Ghost is the ideal platform for building a personal blog. This theme is the perfect fit for that job. 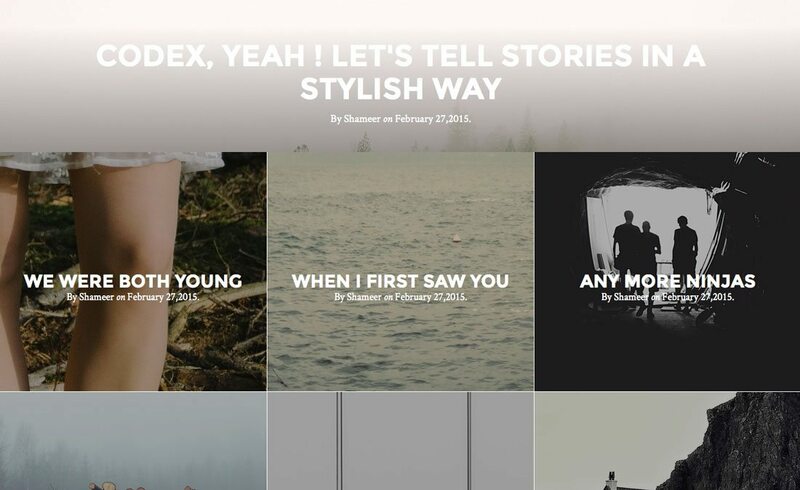 Cedar is a personal blog theme for Ghost that features a minimalist design with a single column layout. It also supports multiple authors and Disqus comments system as well. Whether you’re looking to build a blog, portfolio, or a personal collection of your favorite links, this theme can handle them all. Paperleaf is a multipurpose Ghost theme that comes with clean and a fluid design. It also supports Google AMP for optimizing your blog for mobile devices. 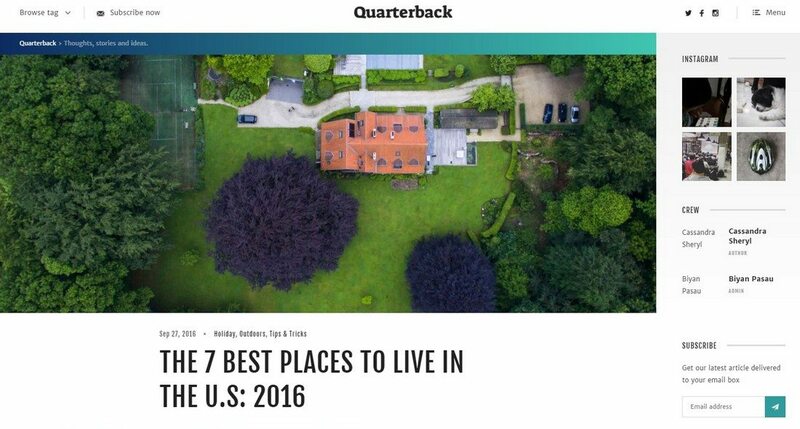 Quarterback is an unusually different Ghost blog theme that features a sophisticated and a high-quality design. The theme is fully responsive and also comes with a fancy Instagram widget. 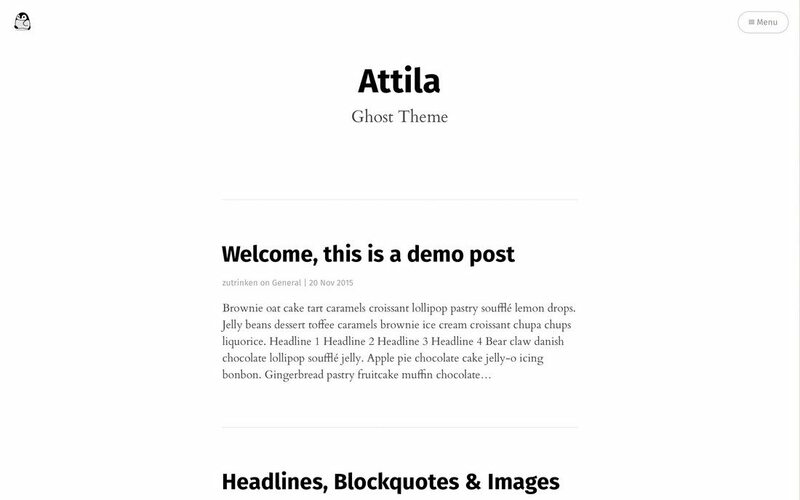 Attila is a minimalist blogging theme for Ghost. 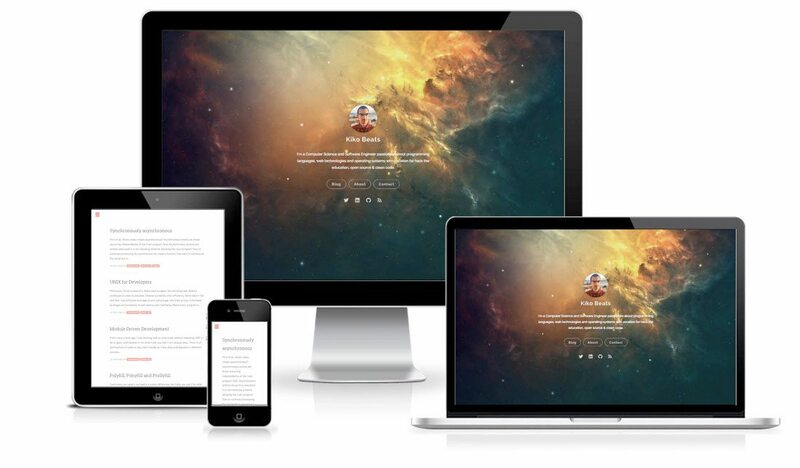 It’s perfect for building a responsive blog to share your personal ideas and thoughts. For a free theme, it even comes with support for Disqus comments and sharing buttons. Orca is a Ghost theme designed with mobile devices in mind. It features three unique post layouts, custom page layouts, and comes with full support for Disqus comments. It also includes integrated social profile links as well. 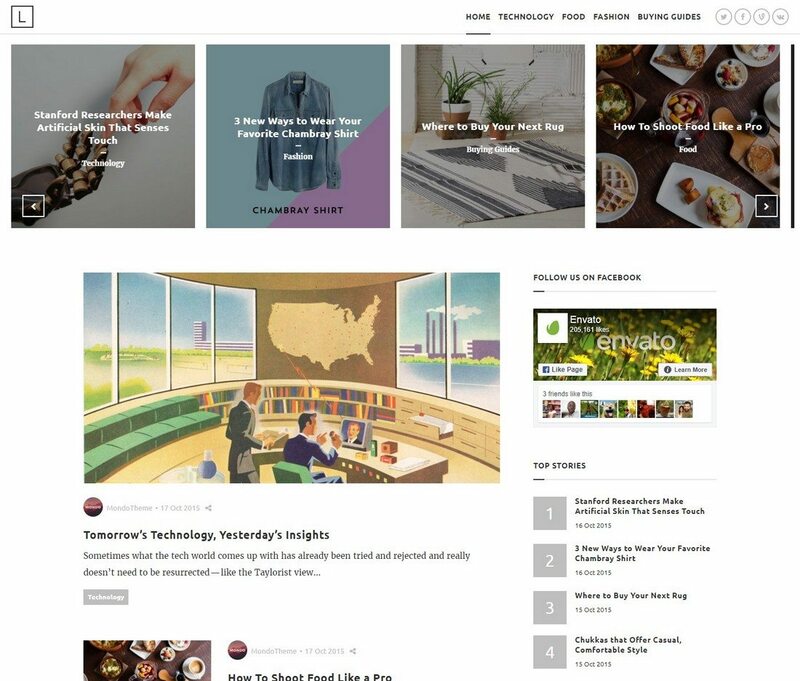 The attractive grid-based design of this theme will certainly help promote your blog posts on the HOMEpage in a stylish way. The Curious theme also supports all types of mobile device screens. It features social sharing buttons, Instagram feed, and Disqus comments as well. 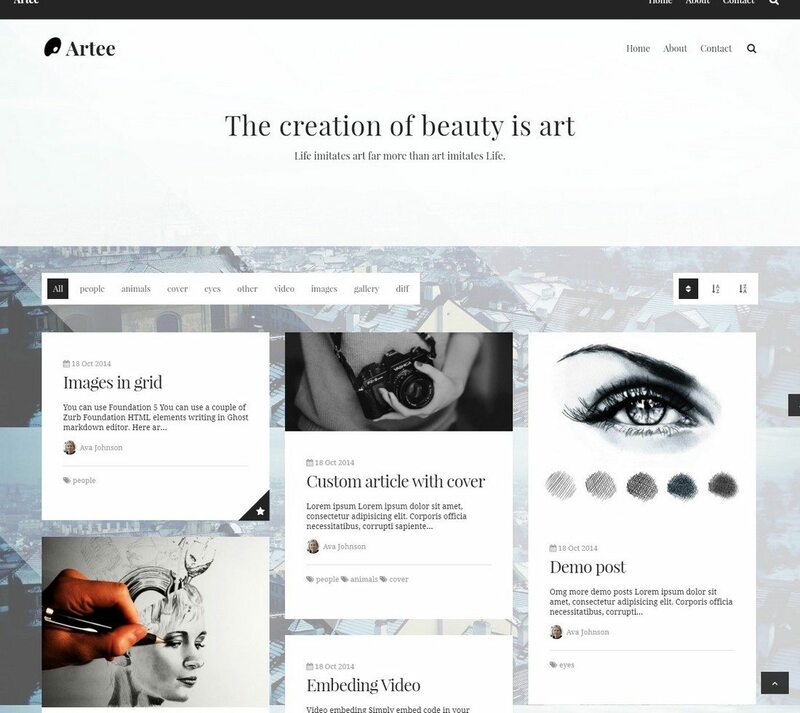 Artee is a professional Ghost theme designed specifically for building a portfolio website for showcasing your work. It features a masonry grid layout with an image lightbox for easier viewing of images. The theme also supports styled maps and Disqus comments as well. 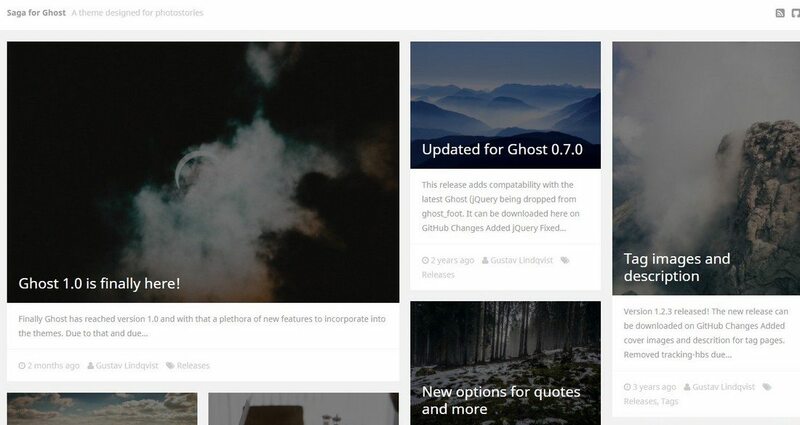 Saga is a professional Ghost theme that features a design similar to Pinterest. Which makes it ideal for building a blog or a portfolio for photographers. The theme also comes with stylish transition animations and an image lightbox. 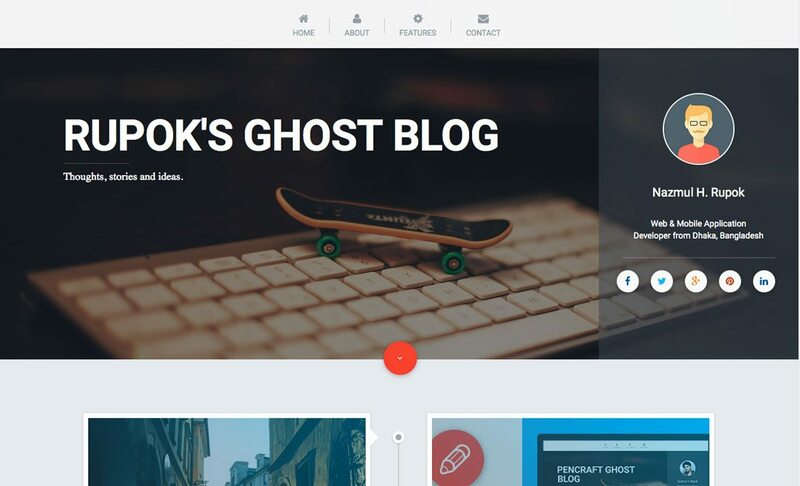 Featuring a modern design and an innovative post-slider and an auto-hiding navigation bar, Lark is a Ghost blogging theme that you can use to build almost any type of a blog with a professional look. 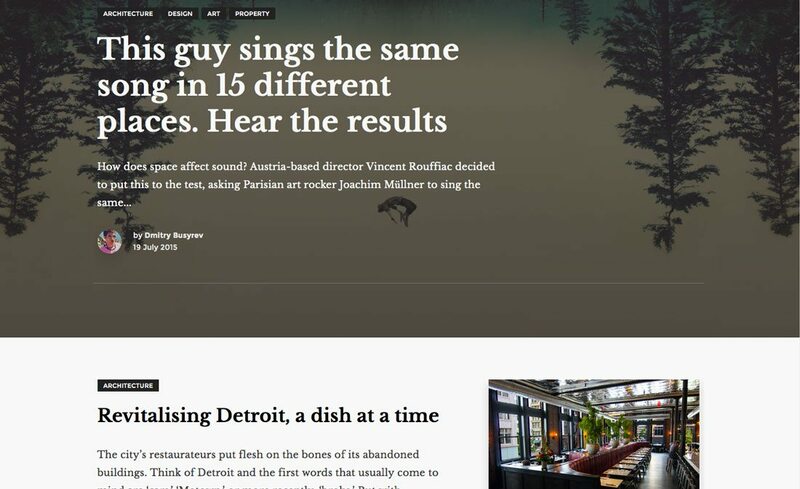 In addition to its responsive design, support for Disqus comments, and social profile integration, this Ghost theme comes with a unique layout that lets you view and scroll through blog posts in a split-screen style design. 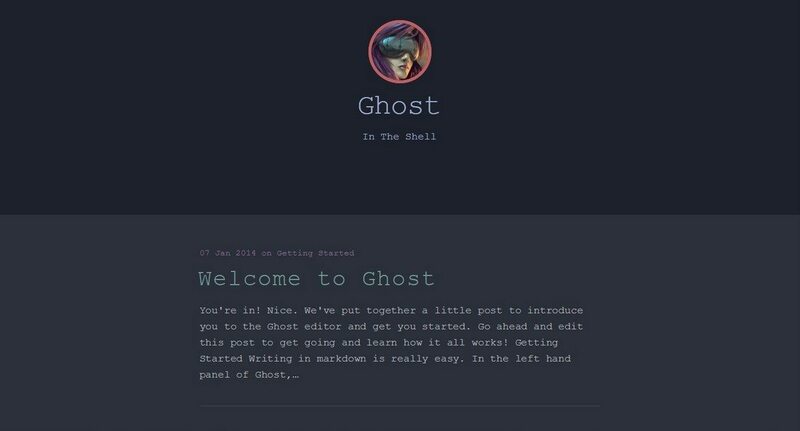 The Shell is yet another free but a professionally designed blogging theme for Ghost. The dark color scheme and the programming style font makes this theme perfect for building a blog for coders. Rain features a dynamic photo feature that adds rain to any image you upload, for a dreary-day experience. The design is simple and features a two-panel style that showcases both a rainy image and blog posts above the scroll. The theme also comes with stormy and rain audio files to enhance your design. We all know Material Design is hot. Take advantage of the design trend with this theme that includes common aesthetic features and usability controls in a clean, responsive and minimal framework. The theme is also based on another popular option, Materialize, and you can mix and match components from each. Blockster makes it easy for you to create a great design – with multiple formats “out of the box” – while making use of some of the best features of Ghost. You can customize everything about the block-style design, and even make it look not-so-blocky. It includes plenty of background image areas and even comes with 12 images to get started. One of the neatest parts of this theme design might be all the sorting and filtering functionality; it makes this theme so easy for users when they come to your website. 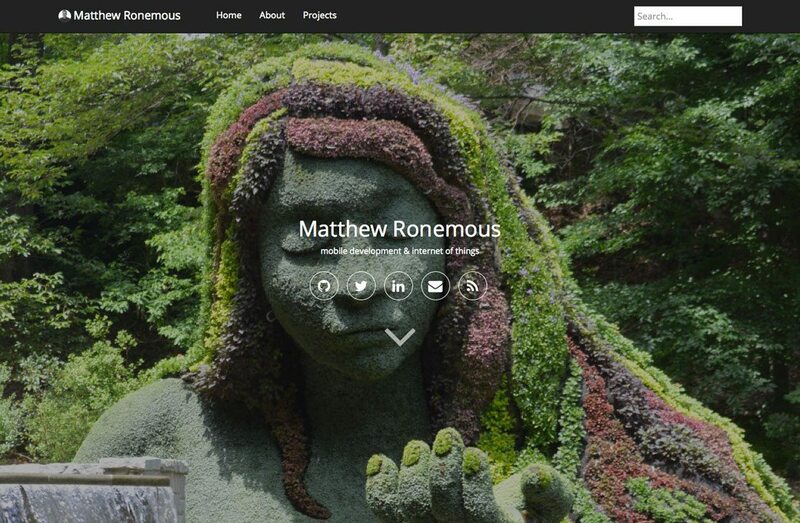 This modern masonry style theme works with any type of content, from text to video, in a modern card-like layout. The added bonus for this theme is that is it designed as a multi-blogging platform, so multiple users can contribute content with ease. The cover image area is also designed for complete flexibility, upload a photo for a cool color overlay or go without for more of a flat-style colored block. 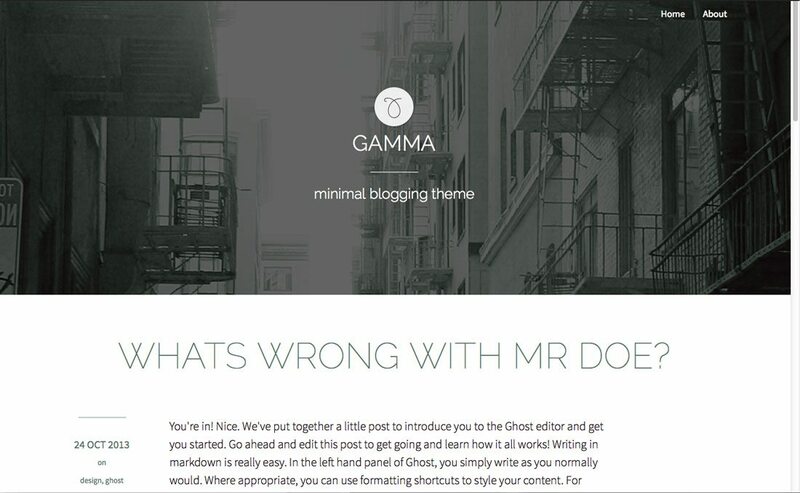 Gamma is a Ghost theme from a popular theme developer, oxygenna, that is designed just for blogging. The theme features a minimal design with sharp focus on typography, space and readability. The simple elements make blogs on this theme a joy to read. Please every element is easy to customize is comes retina display ready. Nightlight is a multi-purpose responsive theme with smooth AJAX page transitions and a smart off-canvas navigation bar. 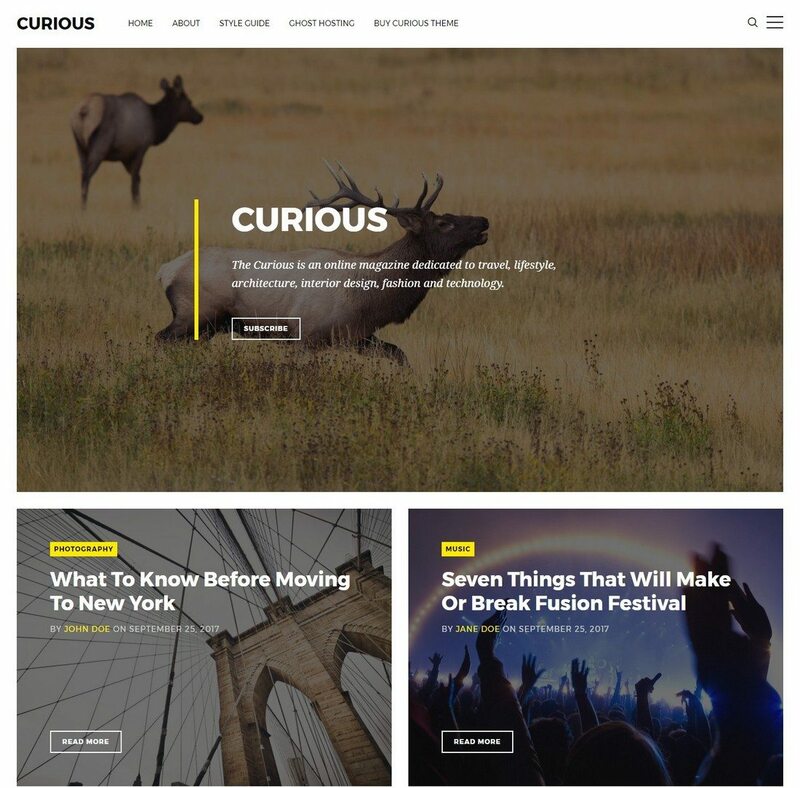 Everything about this theme can be customized with an optional featured posts carousel and four layout options. Nightlight’s stylish post pages feature column-based articles, commenting and a newsfeed widget. Search and site wide tag filtering are also integrated. The theme comes ready to go with bright color options and distinct typography. Ivy offers two theme options – light and dark styles – with an easy to use masonry block design. The theme is robust when it comes to options with seven post formats for every content type you can think of and plenty of flexibility within each designed block. It also includes social media sharing and commenting so you can get the most out of your content with a wide audience. 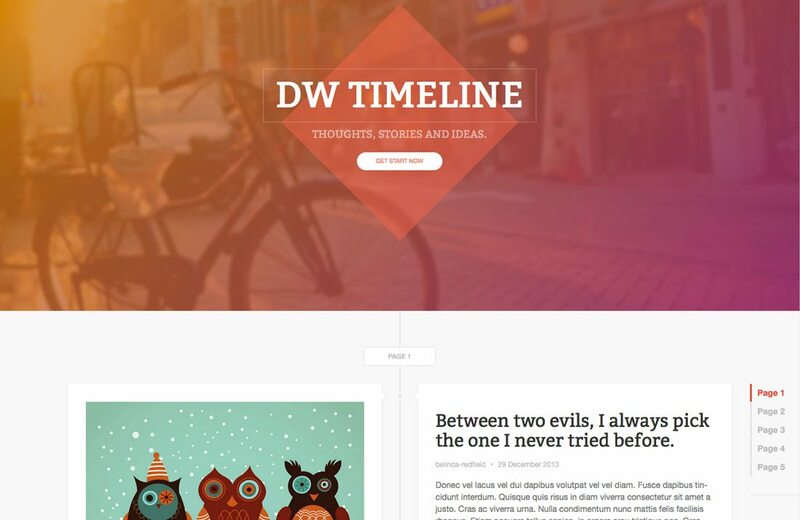 DW Timeline engages readers with a timeline layout for easier browsing and infinite scroll for better user interaction. It supports plenty of content types in a simple framework that is made for optimum readability. It also features fun options such as infinite scrolling and a timeline layout feature. Anima is a responsive, multipurpose Ghost theme with filters, reading time indicator and search system that is perfect for personal blogs and portfolio websites. Hence the name, the design is made for flat style animations and illustrations. The post and reading styles are easy to interchange and every detail is there, from typography options to the sharp color palette. This Ghost theme features some fun animated effects – especially take note of the scroll from the main landing area to the content cards – in a well-constructed package. 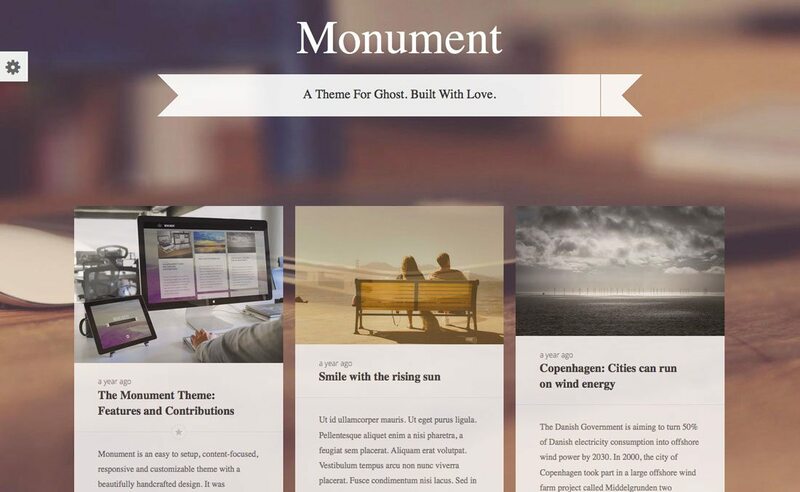 Monument is easy to set up, is designed for content and has distinct usability and readability. Plus, you can customize almost anything in this theme to really make it yours. 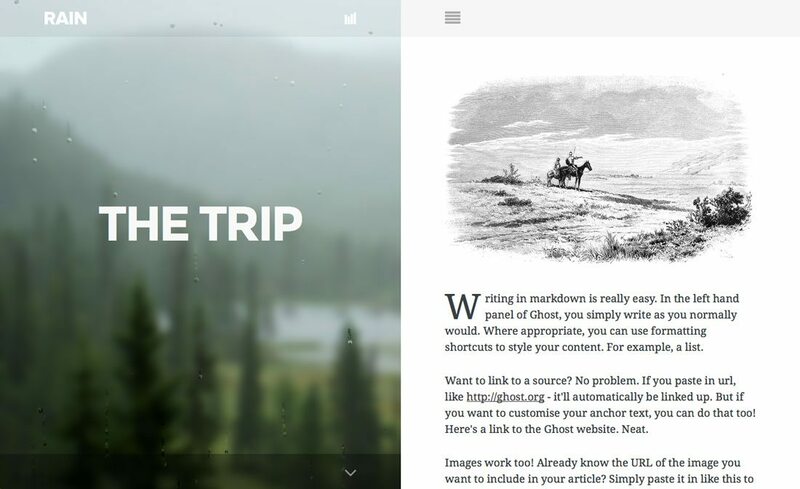 Codex is modern ghost theme for writers, photographers, travelers and all others who like to tell their mind in a stylish way. The blog design features photo-heavy post styles that use great images to get users into the story. This blogging style looks great thanks to fun polygon shapes that come in a flat design style and include plenty of night CSS3 transitions. It is perfect for a new blog as you look to find your niche and comes with the very popular Lato typeface for great readability. The best thing about Hybrid may be all the great layout options it features. 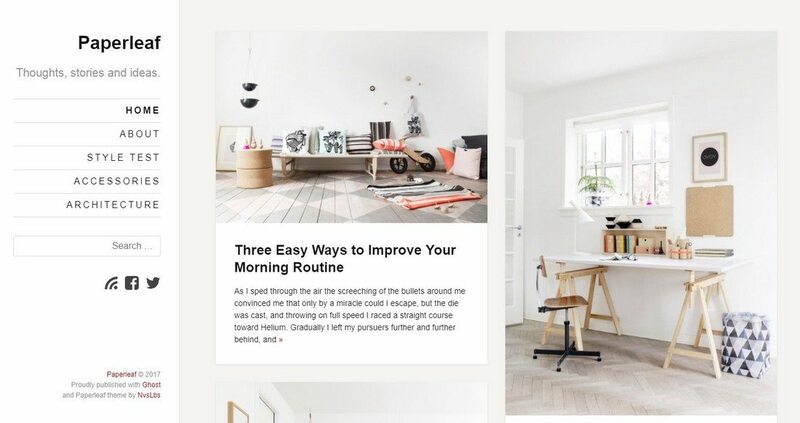 This theme have multiple options for layout styles for your blog posts. 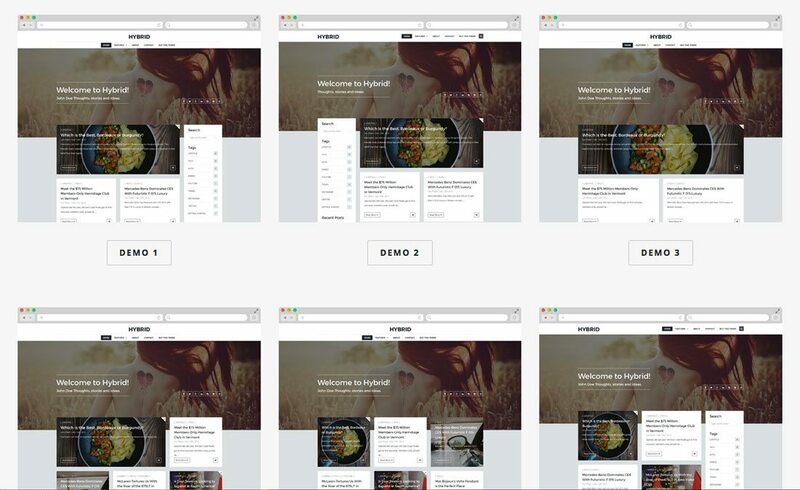 It comes with six different demos to help you get started and includes great image areas for full-width photos, lists and navigation options. Uno Zen is an elegant, minimal style theme that works best with big images to carry the design. It features a responsive design, search engine optimization and is written in HTML5 and CSS3. 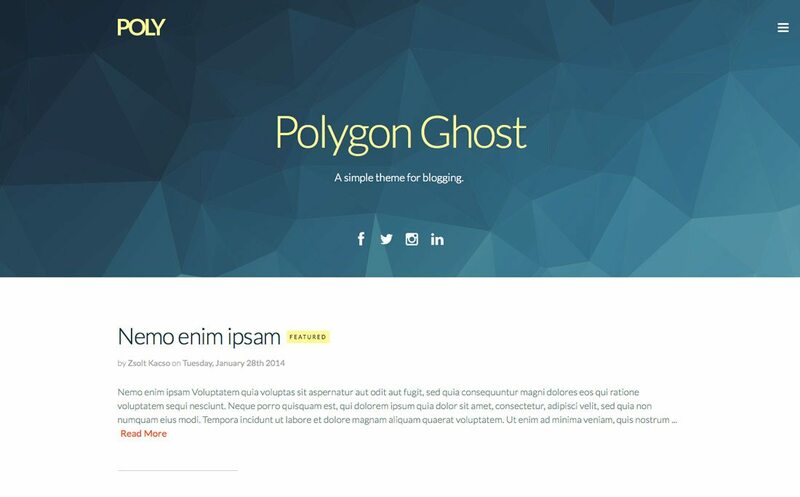 This theme could make a great portfolio or blogging site with nice feature areas for a profile image, text and plenty of buttons in the ghost style. Urban features a simple design with modern touches for bloggers and portfolio-style websites. It uses a strong vertical flow to direct users though pages and would work best for content that is driven with strong images and language. 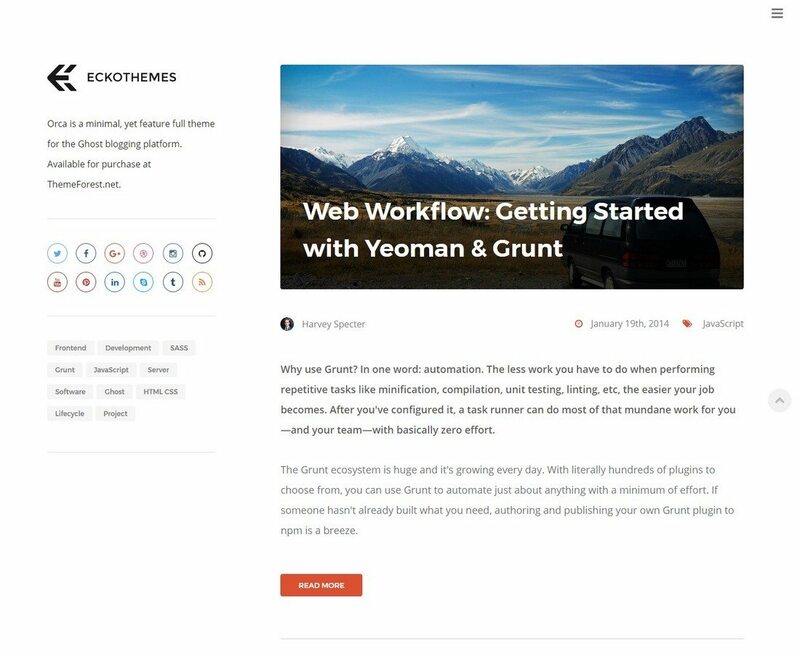 Techno is a free boilerplate responsive theme for the Ghost blogging platform. The theme is easy to setup for non-technical bloggers. (So if you are just starting with Ghost, this might be a good option.) The design offers plenty of features with a nice image area and easy to link icon buttons and parallax scrolling features. 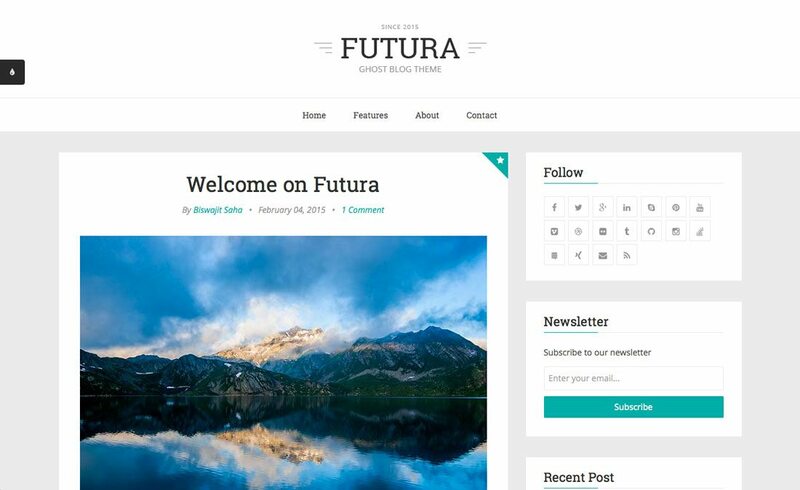 Futura is designed for the blogging purist. With a minimal framework using nice space and typography, the theme also features plenty of common elements in locations that bloggers will appreciate. The theme features a wide post area that can hold images and video as well as a great sidebar that’s packed with widget options. It also supports having multiple users and customizations throughout the design. This simple theme is easy to use and look at. The designer actually created it for beginners so they can learn the ins and outs of Ghost. 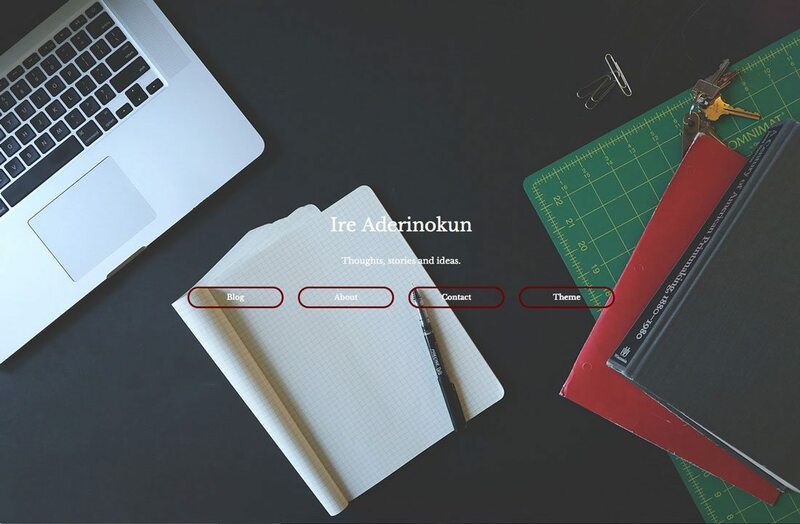 The theme features a hero header area with trendy ghost buttons and a fairly robust section for blogging. You can use it in a one-page style framework with elements such as responsive design and parallax scrolling features.